The annual meeting of the Astronomische Gesellschaft in Cologne, June 1988, featured extensive reviews of the chemical processes relevant to astrophysics. 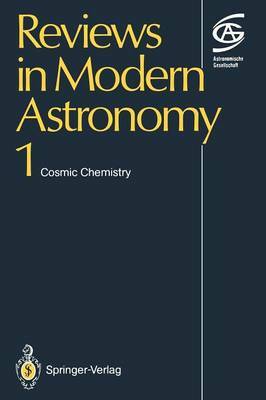 The twelve contributions to this book, written by experts from the US, UK, France, Belgium, Switzerland and Germany, deal in depth with the chemistry of comets and meteorites, of stars and their shells, of the interstellar medium and galaxies. A comprehensive review of nucleosynthesis and two reports on observations round off an up-to-date presentation of cosmic chemistry.